The Trask Watershed is located on lands owned by the US Bureau of Land Management, Oregon Department of Forestry, and by Weyerhaeuser Company. It is the northern most of the three watersheds in the WRC. These three ownerships provide the opportunity to evaluate and compare the impacts of their management strategies. Beyond the complexities of ownership, maintaining sensors, and gathering such a large set of samples, the watersheds themselves offer an enormous amount of variability. 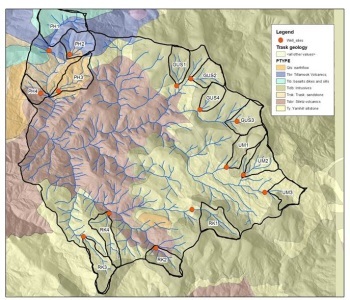 The aspect and geomorphology of a watershed can impact temperatures. 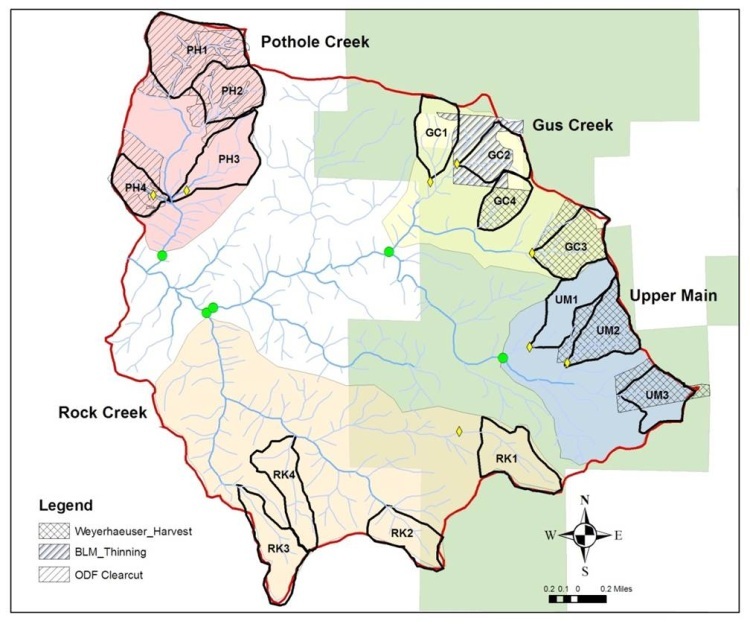 Even within one watershed like the Trask watershed, just these two variables can contribute to differences throughout the watershed. 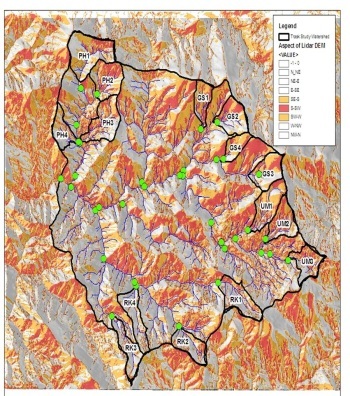 The maps below show just a small amount of the complexities researchers face in these watersheds.